Versailles, a city on the western edge of the French capital city of Paris is now part of the metropolis in the Ile de France region and is well known for its site of the vast royal palace and gardens built by King Louis XIV which was earlier a royal hunting lodge. Besides this, it was also one of the wealthiest cities near Paris. The Palace of Versailles, known also as the Chateau de Versailles had many historical events, one being the signing within the Hall of Mirrors on June 28 1919, of the Peace Treaty between defeated Germany together with the Allies which brought the First World War to an end officially. This signing at Versailles brought about the proclamation in 1871 within the same long hall, the establishment of the German Empire under the Prussian king, the Kaiser subsequently, Earlier where the palace had started as a hunting lodge which was built by Louis XIII and thereafter Louis XIV build the palace which is known presently. 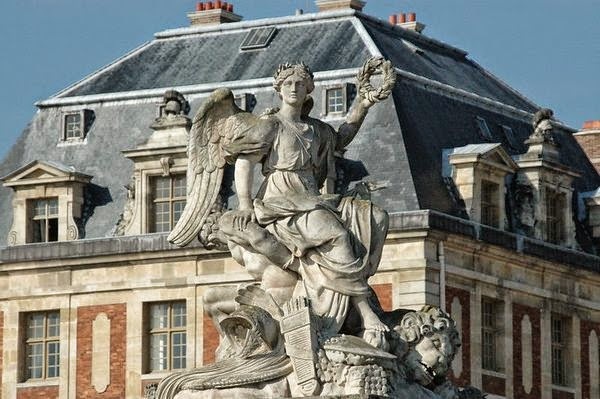 Towards 1789, the palace had lost its power though currently it hosts the Museum of France’s history. The former home of the French kings contains royal elegance of Old Europe. Versailles which originated in 1631, remained the epicentre of the French power and home to government offices as well as courtiers till 1789 when it evicted Louis XVI with his queen Marie Antoinette by a group of hungry and agitated crowd of mainly female revolutionaries who stormed the palace and sent the royal couple back to Paris which eventually led to their execution. The sprawling and amazing palace of Versailles is matched to the splendour of the gardens where it is situated and one can experience a pleasant time by following its paths while admiring the fountains and the splendid view of the flowers without getting into the palace or other buildings in Versailles. The queen, Marie Antoinette had an attachment to these grounds where it is said that she had created her own private estate here which comprised of rural homes and building along the lines of a Norman village and to escape the atmosphere of the palace would seek her own privacy here. Her estate operated as a working farm with peasants and livestock that produced fresh products for the palace. Visitors are permitted to visit the Palace of Versailles and explore the intimate chambers including the king’s grand apartments and the most famous room at the palace is the Grande Galerie or the Hall of Mirrors which is said to have been haunted by courtiers playing politics or awaiting an audience with the monarch. The best way to get to Versailles palace and avoid lengthy queues is to buy the ticket directly from the Chateau de Versailles website which would cost a bit more than the usual entrance amount though it includes the return railway as well as the metro tickets with an audio guided tour of the Chapel and Opera House, together with the Dauphin’s and the Mesdames’ apartments, the King’s and Queen’s State apartment, the Coach Museum and Trianons accompanied with all the temporary exhibitions.